Adrian Attard has been made a new Partner with Fenech and Fenech Advocates, the oldest and one of the leading law firms in Malta, providing value-driven, tailored legal services across all practice areas. 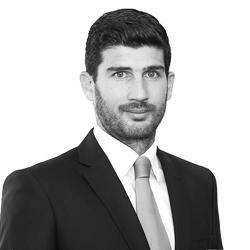 Dr Attard joined Fenech and Fenech Advocates in 2010, having graduated from the University of Malta in 2009 with a Doctorate of Laws. He also read for a Master’s degree in International Maritime Law conferred by the IMO International Maritime Law Institute and was admitted to the Maltese bar in 2009. His principal areas of practice are marine litigation and dispute resolution. He has a wealth of experience in all aspects of maritime law, including most types of wet and dry shipping disputes. He also regularly assists shipping financiers and creditors in enforcement scenarios. 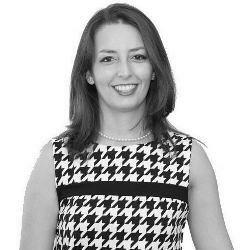 Lara Saguna Axiaq has been invited to join the board of directors at Fenech & Fenech Marine Services Ltd, one of the largest ship registration service providers in Malta and a leading branch of Fenech & Fenech Advocates which specialises in Malta flag registrations of all types of vessels. Dr Saguna Axiaq joined Fenech & Fenech Advocates in 2007, having graduated from the University of Malta in 2007 with a Doctorate of Laws. She also read for a Master’s degree in Maritime Law from Queen Mary University and was admitted to the Maltese bar in 2008. Her principal areas of practice are ship finance involving the granting of security relating to Malta flagged vessels, as well as all aspects of ship registration, ship sale and purchase of vessels under the Malta flag.